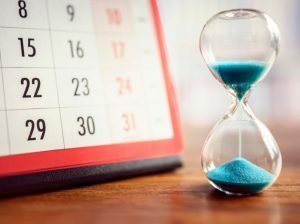 The Microgrid 2019 team urges those who plan to attend the May 14-16 conference to mark their calendars for three upcoming deadlines pertaining to discounts, special awards, and presentations. Geared toward the thought leaders who are driving grid decentralization, the three-day conference offers a chance to capture new business opportunities in the emerging constellation of microgrid technologies. This year’s event is located in California, a bellwether state with world-leading policies that support clean and decentralized energy. Meet colleagues and customers at Microgrid 2019’s luxury, waterfront venue, the newly opened Intercontinental San Diego. Form new partnerships with attendees from throughout North America and around the world. Tour advanced microgrids in San Diego. And learn the latest about microgrids, mini-grids, nanogrids, virtual power plants, non-wires alternatives and other ‘smart’ distributed energy options in the evolving industry. Jan. 7: Nominations for the Microgrids for the Greater Good Awards are due. The greater good awards spotlight replicable projects that improve the lives of the people they serve. We’ll pick winners in three categories: 1) Highest recognition for a project serving the greater good 2) greater good award for a grid-connected microgrid and 3) greater good award for a remote microgrid. Submit your nomination here. Jan. 31: Our early bird special ends, which provides $350 in savings for a seat at the conference. Register for the discount here. Take advantage of all the conference offers at a discounted rate. 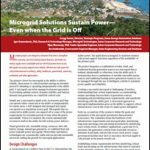 Jan. 31: Deadline to apply to present at Microgrid 2019. We’re looking for case studies and presentations that inform conference-goers not only about innovative microgrids, but also nanogrids, virtual power plants and similiar examples of smart decentralization. Openings are available within sessions on business and financing models, policy, regulation, engineering & problem solving, and technology & products. Submit your idea here. Check out Microgrid 2019: Shaping the New Electric Grid for more details about the May 14-16 conference, the industry’s premier event. If you haven’t yet been to a Microgrid Knowledge conference, watch this short video to get an inside look at Microgrid 2018 in Chicago.